I have been seeing subscription box ads and posts from all kinds of bloggers and influencers lately. It seems like everyone has a subscription box they are promoting. Everything from food to clothing to kids activities to beauty products. I guess it is the “in” thing to do now. I usually just ignore them, because I don’t want to be locked into a monthly membership to something I may not even like. But when I saw the advertisement to ButcherBox, my interest was peaked. Wouldn’t it be nice to get grass fed, organic meat sent to my door each month? Why yes, it would. 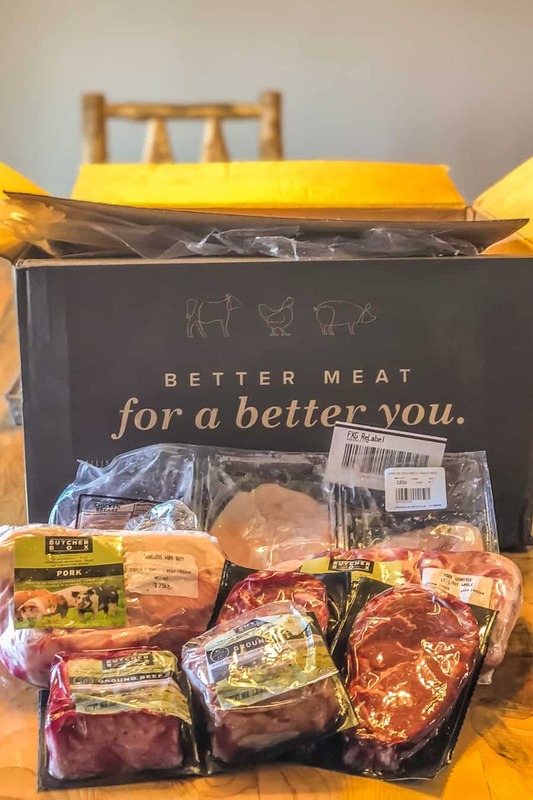 So I ordered a Butcher Box to try it out and while I still have some reservations (I will discuss those in a minute), overall I am impressed with the product quality and convenience. ButcherBox is a monthly subscription box for high quality meats. You choose what kinds of meat you want, and they send them to your house each month. ButcherBox is committed to premium meat. For those that don’t have a local source of premium meat, this could be a game changer! A mixed box of beef, pork and chicken: they choose what they send you. A box of beef & pork, beef & chicken or all beef: they choose the cuts. Custom box: you choose exactly what you want but the cost is more. You can also add other meats to your main box, if you want. All of the boxes (except custom) are $129 per month for 8-11 lbs of meat. The custom box is $149 per month for 9-14 lbs of meat. Then you can add other meats for an additional charge if you want. Let’s peek into the box I got this month and see how the prices compared to my local WalMart organic/grass fed meats that I would normally buy. Of course, the prices in your area could vary greatly from mine. So obviously, it is a little cheaper to buy this meat at WalMart instead of ButcherBox. But in my opinion, this meat is so much better than the WalMart meat, even the organic WalMart meat. The quality of the meat is very high. It is delivered to my door. They have recipes and videos online to help you cook the meat. It’s fun to see what’s inside each month. One box isn’t enough-Since my husband and I are doing keto and we have 3 growing teenage boys that eat alot, one box isn’t enough for a whole month. In order for us to get all of our meat from ButcherBox, we would probably need atleast 3 boxes, which would be out of our budget. It doesn’t come frozen-We live out in the country, 4 hours from the closest big city. So the meat travels for 3 days to get here. It is still cold and fine to eat, but not frozen anymore. If we lived closer, I’m sure this wouldn’t be a problem. Who is ButcherBox right for? Who is ButcherBox not right for? 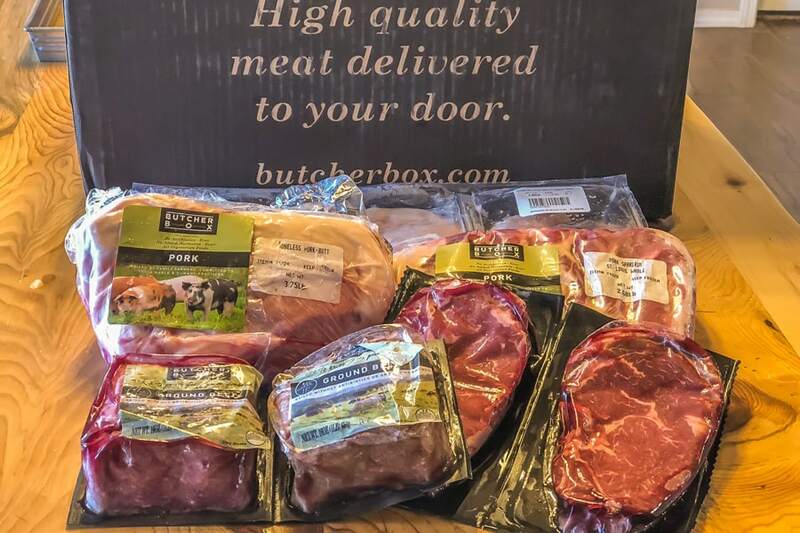 I think ButcherBox is a great resource for those that are looking for quality meat delivered to their doorstep. 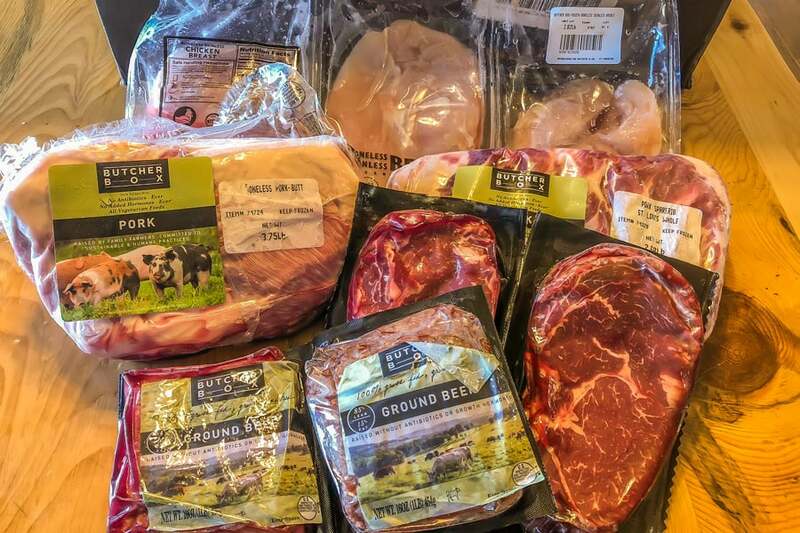 For those that don’t mind paying a little more for quality meat, this subscription box is for you! Since my husband and I are on the keto diet, we are eating high quality meat more often. This meat is high quality and you can try new cuts you wouldn’t have bought for yourself. This adds variety and fun to your meals. If you fit into the “right for” category above, I encourage you to give ButcherBox a try and see if it works for your family. And to sweeten the deal, when use my affiliate link for ButcherBox, you will get a FREE BACON and $20 off! Can’t beat that! 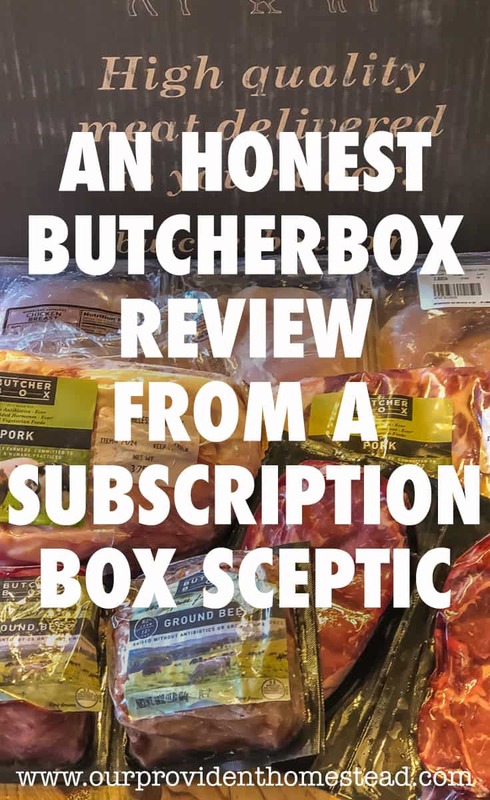 So check out ButcherBox here (affiliate link) —> Get The ButcherBox Deal! Have you tried ButcherBox? Let us know what your experience was in the comments below. And if you found this post helpful, please share. Thanks!